September 2013 – Making Memories in The Chaos. Evening folks – hard to believe it is Friday already! The weeks are really beginning to fly by! This morning while J was at pre school, me and S and L took ourselves off to Sprucefield for a wee browse and also for the Macmillan Cancer Coffee Morning at Marks and Spencers and it has to be said we have a lovely wee morning – have had to keep it pretty hush mind you – J would not appreciate missing out on that wee treat! While we were there I also managed to pick up some Christmas presents for them – Boots have got their good old ‘3 for 2’ offers on, so I managed to pick up some lego and duplo – was a great wee bargain! L is getting to the stage where she just will not tolerate sitting in the buggy for long….she wants out to walk around….she wants out to look the toys…..hooray for raisins is all I can say! This afternoon while the kiddos napped I made out my monthly meal planner for October….I have to say I am finding having a monthly planner so helpful – it helps me be more organised, less stressed AND I am saving money! I am also in the middle of fine tuning my cleaning routine! It has to be said I am not really into having a really clean house, I have some friends whose houses are always SO clean….they really put me to shame….I’m kind of a ‘the bare minimum’ sorta girl when it comes to cleaning the house! BUT, I also don’t like things to get too out of hand – so, I have a cleaning schedule which I find manageable! Anyways, here’s my meal plan for October, hope someone out there finds it helpful…. Week 1 Beef enchiladas Chicken Curry (left overs from last month!) Quiche and salad Sausage and root veg bake with honey orange dressing Cheesy mince baked potatoes Asia salmon fillet Roast Chicken dinner. Week 2 Chicken and broccoli bake (using left over chicken from yesterday) Beef and root veg stew Creamy bacon and mushroom pasta, crusty bread. Lemon chicken. Beef wellington, cabbage and mash. Homemade fish goujons and wedges Pork chops, apple sauce, mash, roasts and veg. Week 3 Chicken cacciatore BBQ chicken and chorizo salad Baked cod wrapped in bacon with rosemary. Beef and ale pie. Griddled lamb chops and chunky homemade salsa. Marmalade glazed sausage baps Roast Beef dinner. Week 4 Mini shell pasta with creamy smoked bacon and pea sauce Normandy chicken Homemade pizza and wedges. Twice baked potatoes. Chicken fajitas Beef and stilton mini pies and chips Salmon with green beans and pesto, baby potatoes and roasted veg. Yesterday we ticked off something from our Autumn Bucket List – an Autumn scavenger hunt! We went to Castlewellan Forest Park, loaded with magnifying glasses, bags for our treasures, a picnic, footballs, cricket sets………and we had a blast!!! Such a super family day. I wanted to share some of the pictures to let you in a… Continue reading An AWESOME day! Hooray for YouTube! The boiler is fixed!!!! Hubster got on it! Tuesday evening – he futtered (not a real word, but the only word that truly describes what he did!!) and tried things, watched some clips on YouTube and whoop we had heat again! Just in time for the lovely Mandy coming over for a cuppa and catch up! Thankfully I didn’t have to give her the hot water bottle and blanket that I had on stand by – nothing as bad as someone coming to your house and sitting freezing! But, no, my wonderful better half got it sorted 🙂 There are times I really do wonder what we did before t’internet came on the scene! 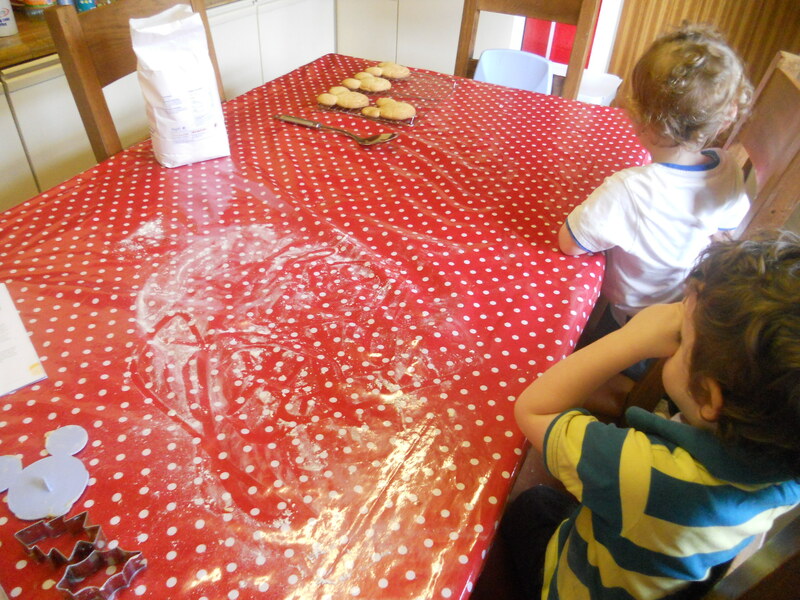 J is getting on well at pre school….we had a wee wobble on Monday morning – he cried – I came home and cried. Being on the other side sure ain’t fun. I remember very well telling so many mummies – “they’ll be fine as soon as you go”, “don’t worry they’ll be ok” etc. but, boys a dear, when you are on the receiving end of it – it’s all you can do but punch them in the face and tell them, “he’s not ok, he’s crying, he wants to come home with me, why are you being so cold-hearted, just let me scoop him up in MY arms and take him home”. So, yip Monday he cried saying, “I don’t want to go here”. I left, came home again with L and S….and cried. 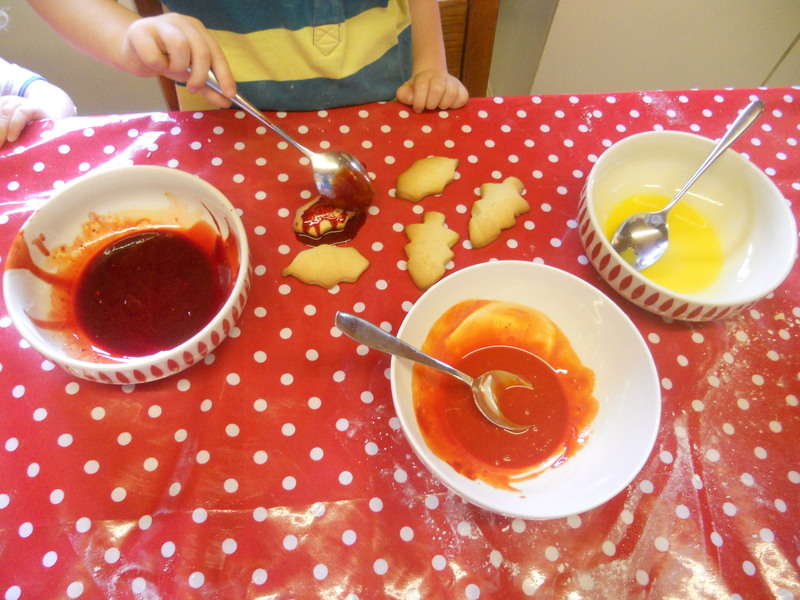 I worried about the full 2 hours he was there….we made play dough …… more to distract me than L and S if I’m honest and read LOTS of books. Finally it was time to go get him, and what do ya know, he came running out, all excited and happy and claiming he had a brilliant day!!!!! So, yes, he HAD been fine, the crying DID stop as soon as I had left and he LOVED it!!! AND he hasn’t looked back since! *sigh* this mum stuff is tough. If I ever go back to teaching I will now understand more fully the importance of maybe a wee phone call at break time to let mums know, “they are fine and having a ball” 🙂 at least then mum can get on with the rest of her day!!!!!!!!! This week we’ve been out every day – not at anything really exciting – more things that needed doing! 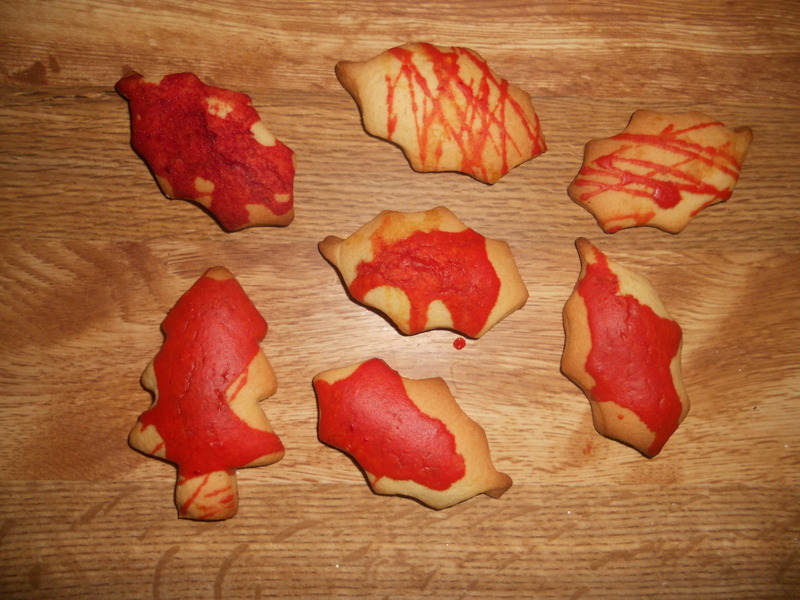 Today we made some cookies. We had been in town yesterday and bought that new Disney baking magazine. If you know S, you will know he carries around a Mickey Mouse ALL. THE. TIME. He LOVES him. 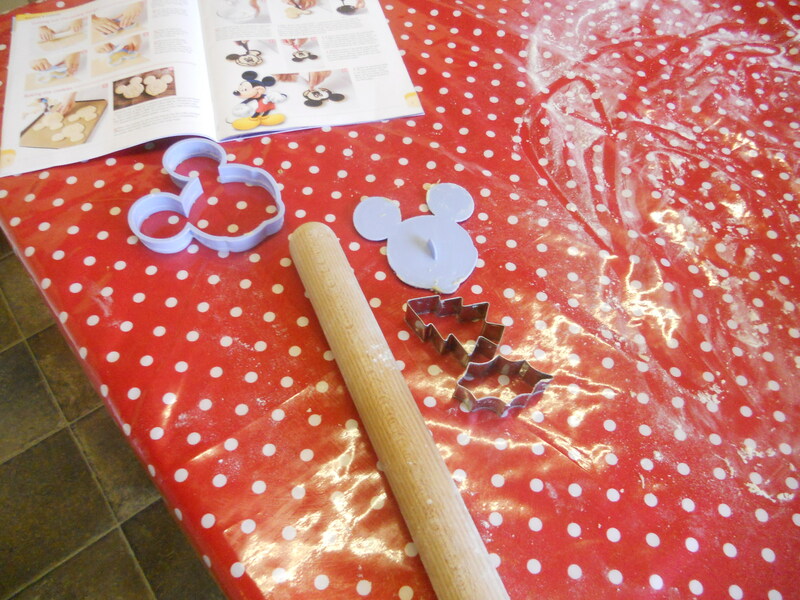 So we HAD to buy this magazine – you got a cookie cutter free – in the shape of Mickey!!!! 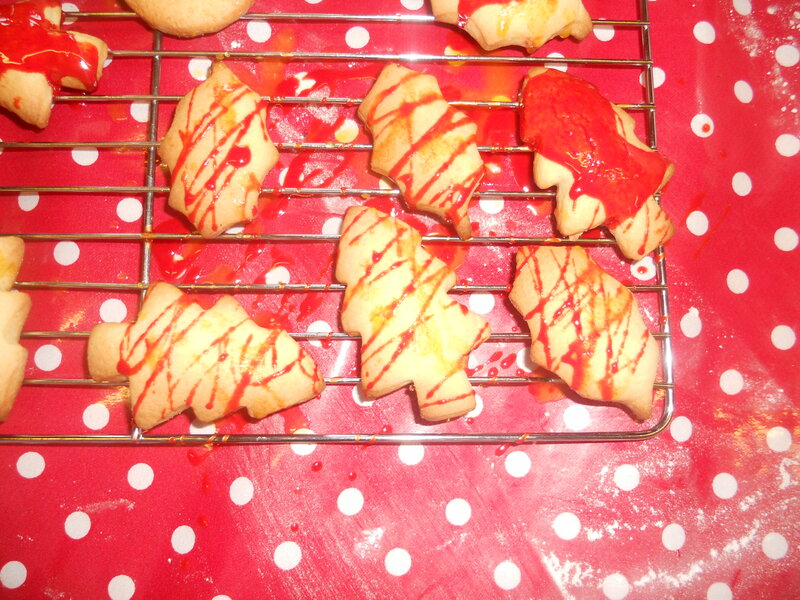 I also had wanted to make some Autumn Leaf cookies with the kids too, so 2 birds 1 stone kinda activity today. 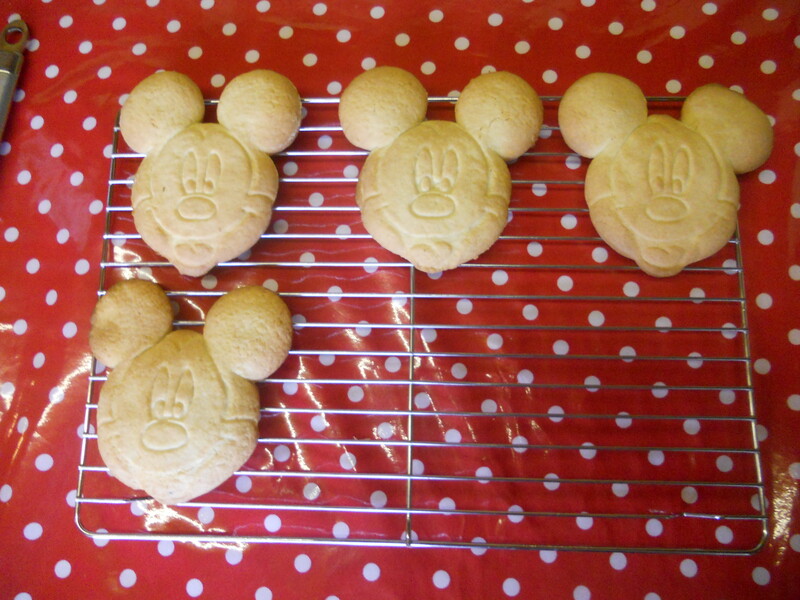 I had made the cookie dough last night, as it needs to be in the fridge for at least an hour before you use it, so I knew J,S and L would not have the patience to wait – they were VERY EXCITED about making Mickey cookies. I REALLY WANT TO MAKE SOME BY MYSELF AND HAVE THEM ALL NICELY DECORATED. 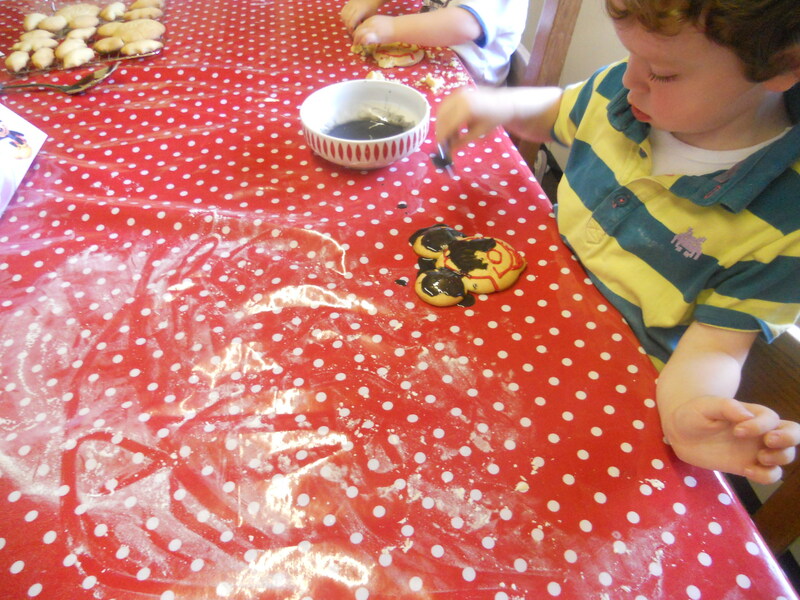 It required a LOT of self-control to let them loose on the decorating! Lol! Evening all. I am a little behind on my blog and on my Making Memories in the Chaos facebook page. I.AM.TIRED….SO TIRED. I think last week took more out of me than I’d realised. Tonight I am hoping to be in bed by 830pm!!! Amongst the craziness of pre school and weddings last week, I started… Continue reading Down on the farm.